During this year's NASSCOM BPO summit, we were subjected to a deluge of three-lettered acronyms which (let's face it) aren't particularly relevant today - as Pramod Bhasin so eloquently opined. And while "BPO" is clearly a broad and fluffy term that is now used to to describe any type of outsourced process solution that isn't IT, "KPO" is even more vague. In fact, I discover a new firm daily which claims to have a "KPO" solution, ever since I invited every man and his dog to partake in my new research effort. And when you have the Chairman of NASSCOM asking "what the hell is KPO? ", you know there is a communication issue out there. 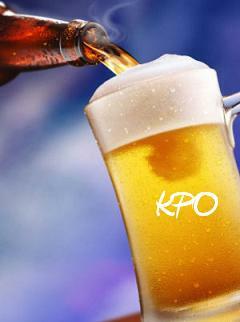 Because "KPO" is truly the next phase of Business Process Outsourcing. Until now - and for a little while to come - BPO has represented largely transactional processes being offloaded to offshore locales with a service provider, sizeable employee remediation from the buyer, and quickfire cost-savings resulting. And if the service provider can muck through to some sort of adequate operating state within a couple of years, the engagement can be largely deemed a success. All-in-all, most firms have pretty much trimmed their payroll, accounts payable and customer service staff as much as they can feasibly manage, and once they have moved into a BPO engagement, this is normally the limit of savings they can hope to achieve from offshoring their transaction processes to a third-party provider. Within a couple more years, there won't be many medium-to-large firms left which haven't outsourced most of their transactional processes where is makes business sense to do so. The next wave of savings will occur from buyers moving elements of higher-value processes over to third-parties, where onshore costs are high and skilled resources often scarce, in areas such as analytics, front-office finance, legal contract development, marketing, clinical data analysis, research and investment services. Moreover, the manner in which this next outsourcing wave will happen is going to be different. Instead of broadscale employee remediation, buyers will take-on piecemeal services in relatively small initial projects delivered by high-qualified personnel, whose rates are still three times lower than the cost of using qualified onshore employees. And many buyers will not move immediately into multi-year outsourcing contracts, they will pay for these "PhD Services" by the drink - often weekly, monthly, or by the project. Nervous CFOs, previously anxious about moving too much too quickly to an outsourcing provider, will be much happier to experiment with services they need, find a comfortable medium that works for them, and not have to make tough employee-remediation decisions off-the-bat. They can take their time, transition into an outsourced environment at a pace that suits them, and get access to the incremental talent that they need. Moreover, financial services firms, suffering from the credit-crunch, will be intrigued by this model, as they seek quickfire solutions to resolve resource constraints that do not require major surgery on their own operations. These guys are simply trying to get through their next quarter in this economy, and the thought of major multi-year commitments are simply indigestible for them in this climate. This new model is beginning to have a significant impact on the way companies are sourcing services globally. And it will move quicker than we expect (remember F&A BPO). And it will threaten other incumbent services providers that deliver high-value business services. The leading consultancies better wise-up to this model, or they will find their share of the total knowledge-services pie being gradually eroded. Agree with your summary on the trend - outsourcing of analytics, legal contract development, research/investment services etc. - is visibly on the rise. Centralisation benefits seem to be driving this. Unlike business processes, which had already been centralised within western economies prior to offshore outsourcing in developing economies, these analyst roles appear to be fragmented across various small teams & lots of expensive locations. b) Lack of Analyst skills in western economies - Its not just a decline in new engineering graduates but a bigger decline in new graduates with Stats & Maths majors, which is leading to a supply-demand issue in much of the western world. Folks with PhDs don't like to do this nature of work. Number crunching isn't for folks with a research orientation, else these jobs wouldn't be moving to the developing world. One of the advantages of this line of work is that it presents entrepreunership opportunities in offshore outsourcing, in the developing world. This offshore outsourcing wave is more about skill than scale & it presents lower investment opportunities (eg. - vertical-focused boutique firms focused on one/two clients). Moreover, retention of this analyst skill in large BPO/ITO factories, was always a challenge. This wave may have positive side-effects to the outsourcing industry as a whole - finally, an era of specialisation may dawn in this industry. I agree KPO will grow because it is a natural extension to IT and BPO—as companies get comfortable with managing relatively lower order business and IT processes, they will experiment with and relish the fact that some higher order work too can be outsourced profitably. But I think some of the published projections for KPO are overly optimistic for two reasons. One, the talent shortage is probably overstated. In engineering for example, while it is true that the baby boomers are retiring out of the US workforce and are not being replenished by the university system in sufficient numbers, it is also true that technical and productivity advances have ensured that we simply don’t need the same amount of engineers to create new products any more. Second, a lot of design and development work is still ‘tribal knowledge’ and confined to a geography, a country, a company and even a product line within that company. It is difficult to image that this body of knowledge would be—could be—broken up and assembled into a global delivery model in a hurry. Agree on the "tribal knowledge" issue, and see more KPO engagements being focused on more traditional activities that are broadly focused on an industry and an entire region/country (i.e. investment research or financial planning within life sciences). However, we are already seeing "tribal" processes such as procurement having elements moved offshore, where advanced technology solutions are making access to localized data / services possible. And I agree that short-term growth will be steady and modest initially as companies feel their way into KPO using inital project-based approaches. However, I do anticipate that growth will accelerate quite aggressively in 12-18 months as providers develop increased experience and competency is select areas. If F&A BPO is anything to go by, you can anticipate strong long-term adoption as BPO matures. Well... When I look at BPO's and KPO's, I see BPO's lower on the value chain of the service industry akin to a very basic formation of an assembly like to provide low end services just like when Henry Ford had the first assembly line for his basic automobile. The Assembly line has come a long way since then. Similarly the KPO is the next generation assembly line to cater to higher end services that are being outsourced. The stations of the Global KPO assembly line being made up of doctors, lawyers, engineers and professionals out side of the traditional G8 countries whose output will have an end result on the services of the G8 countries. KPO is a completely different ball game, the human capital is completely different, from the basic high school graduate and undergraduate talent pool of the BPO, the KPO human capital diaspora is made up of highly qualified professionals, delivering high end services with a " zero to minimum" margin of error. In a Harvard business review paper it is summed up as "..."The nature of work In a KP cannot be easily codified - it is not possible to specify all possible variations of conditions, scenarios and situations that the information worker will encounter and what his response should be." • Interpretation — "The agent is expected to interpret the information that he receives, often from multiple sources to extract actionable content from it." Judgement — "The agent is often expected to exercise judgement that is based on his mastery of a formal body of knowledge - such as market research or financial analysis - and his understanding of the business context,"
Thus a KPO employe is firing on all cylinders, making decisions and judgements in a dynamic and fluid environment based on his or her training and professional accreditations and those judgements and decisions have an impact which is is much deeper and pronounced. If I had to sum it up, the KPO movement will create a virtual World of professionals where I may sit in new york, but instead of seeking the advice of a lawyer or engineer from my local Yellow pages I would choose consult with a lawyer or engineer in India or the phillipines. As you mentioned KPO is not exactly the term one would want to use, "Knowledge Services" more aptly describes the PhD type services you are describing here. Though providers are putting efforts to "can" the services so that one can engage with buyers on "pay as you go" or project basis, the real challenge it is in codifying the inherent business knowledge and context of buyers' business. Unless the providers are able to work on this piece, they would be complementing the consulting firms and not really eroding the consultant's pie. While currently these KPO services do not appear to compete directly with the "Big 4" consultancies, you should take into account that the Big 4 all currently use offshore captives to support their ongoing consulting operations. It is only a matter if time before they try to commecialize their captives further by taking on KPO work. We are already seeing some Big 4 consultancies competing directly for projects with niche KPOs in some instances -largely operational analytics work. Having covered this area as an industry analyst and also as a consultant, I have to agree with the broad trends that you have outlined. As we have seen in the early stages of BPO, most knowledge work is being outsourced to captive in house units. Mckinsey themselves were one of the first to use India as a base to do some intensive research and analytical work. Currently a top investment bank has set up a captive unit to do various kinds of due diligence work and it is only a matter of time before they get outsourced. Of course there are many instances of a Managed analytics service and clinical research being outsourced to 3rd parties. Currently the challenge that both outsourcing vendors have is ownership of IP assets, reuse and pricing of services. KPO vendors, by virtue of doing specialized services are simply not keen on doing that on a cost plus basis alone. Scaling up also has been challenging, unlike the BPO work because the transaction mix is not always identical in many areas. I have seen multi year outsourcing contracts (upto 3 years) being entered into in areas of clinical research, managed analytics and market research. And not all of them are Ph.D services, though I should admit they all call for specialized skills and proven expertise. The key elements that people are grappling with are areas where knowledge is tacit and going up the food chain to make the services and processes into immediate action. I wouldn't be as pessimistic as you in making the point about KPO threatening the consulting business. We are a long way from coming to that point. The way I see it, KPO is nothing more than a fancy name for something people have been doing for a very, very long time, certainly since the concept of a legal representative has been around. The key to differentiating BPO from KPO is that you only look at the KPO option if you have no idea how to set up, organize and manage the necessary business process. IMHO, KPO is not value-driven, it is outcome-driven. Onshore/offshore will have no meaning on decisions to choose KPO providers, because KPO is about delivering the core of the definition of value, and that is a business outcome, not a monetary cost reduction based on geographical advantages, financial or otherwise. The other factor in selecting a KPO provider will be the regional nature of the desired outcome. In most cases I've seen, the decision to go KPO is driven by a need to provide an outcome that is very specific to the geographical location where that outcome needs to be delivered. Again, that means offshore will not be as palatable an option as local providers. It will be interesting to see how this pans out. As I said, this is just a new term for something we've been doing for a long time, but giving it a new name oftentimes is the catalyst for evolution. I recommend CL Prahlad's book "The New Age of Innovation" where he talks of the concept of R(esources) = G(lobal) ,R =G. an example is the IPod, which is very American but only in Design ,Brand and Marketing, the rest is made outsourced. Call it BTO, BPO,GPL, KPO, Knowledge Services......global resourcing is here to stay and with virtual cloud computing technologies like Google Apps/Docs, remote desktop,SaaS..
the evolution of any service that can be done at a lower cost will be done...AT a lower cost. A note of caution, many renowned companies lost value when they didnot outsource properly, so it is better to go with bigger vendors like Genpact and WNS, rather than smaller wannabe players, who promise a more immediate cut, but may lead to project delays later. The data in KPO services is very sensitive and a single lawsuit will erase all cost savings and much more. My view is that BPO generally works because services are reasonably easy to scope, are fairly generic across a wide range of organisations and can be provided by a number of suppliers thus creating a healthy market. In my market (marketing / advertising) KPO has been fairly widespread for a long time and has traditionally been a high value business. However, aspects of KPO then translate into BPO e.g. media buying agencies from advertising agencies as scale increases and scope is more readily defined. The commoditisation creeps in. Other established types of KPO are research, product design / development, architecture and so on. As always any organisation needs to be able to match its resources to changes in its environment as effectively as it can (requisite variety: http://en.wikipedia.org/wiki/Requisite_Variety) and this will mean different approaches to suit different markets. KPO buzz sounds like opportunistic chatter from potential suppliers and content hungry reporters. KPO is a segmentation/positioning created to differenciate "Value Added Services" from the run of the mill data processes and voice processes. While it is easy to dismiss the KPO space as just a product of "semantics" the reality is that some KPO entities and processes have delivered considerable value to the clients that it is clear KPo is here to stay. I would like to view this 'fad" of "KPO" to be no different from the distinctions companies choose to make between "Customer Service Call centers" and "End to End Processing providers" in the 200 to 2004 period. This distinction between BPO and Call centers has played on well with more and more service providers focusing on value added services. KPO and analytics space is sure to deliver enhancements to the value delivered ( and consequently revenue realisations) in the years to come. I had placed a proposition that KPO will be a relly differenciated service only when more than 1 competency is brought into action in any delivery. Successful organisations will try to get all three into operation for maximum value. I see lot of companies moving in this direction. I have always felt, since its inception and visibility in the marketplace, that KPO was another marketing ploy to attract attention to a 'new brand of services.' The fact is, whether transactional or not, all services require some level of knowledge. I've never associated BPO or ITO as the poor man's outsourcing services. As vendors become more mature and are ready to take on more strategic and important roles as a 3rd party to their clients, it becomes a natural evolution of services among a spectrum within what we've already defined as BPO or ITO. If it was up to me, I'd throw out KPO and make it simple. All outsourcing services and all work roles for that matter require different levels of expertise, accreditation, knowledge, etc. Let's not belittle those that work hard to perform necessary functions in organizations, even though the marketplace has defined their level of knowledge and acumen to be less. I can understand offshoring mathematical talent - brains come in all packages, after all -- but purely local resources will continue to be needed for a number of categories; generation of high-level business specifications need to be close to the business leaders, for one, and knowledge of the local legal system is jurisdiction-dependent. I'd trust a lawyer in Manila to understand Philippine law, but not that of Los Angeles.